Summary: Share, annotate, and grade with smart, simple document management tool. Pros: Simple interface and powerful tools make this a great tool for teachers and students to share, complete, and grade materials, especially in 1-to-1 programs. Cons: Handouts on their own don't offer much learning. Robust storage, document creation, and other features, including rich media, are available only with a paid subscription. 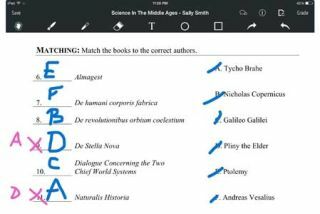 Bottom Line: A flexible, easy-to-use tool for going paperless and sharing materials in a 1-to-1 iPad classroom, with a good starter version for free and a versatile paid option.